Philosophy of mind is the branch of philosophy that studies the nature of the mind, mental events, mental functions, mental properties and consciousness, and their relationship to the physical body. The mind-body problem, i.e., the question of how the mind relates to the body, is commonly seen as the central issue in philosophy of mind, although there are other issues concerning the nature of the mind that do not involve its relation to the physical body. Dualism and monism are the two major schools of thought that attempt to resolve the mind-body problem. Dualism is the position that mind and body are in some way separate from each other. It can be traced back at least to Plato, Aristotle  and the Sankhya and Yoga schools of Hindu philosophy, but received its most influential formulation by René Descartes in the seventeenth century. Substance dualists argue that the mind is an independently existing substance, whereas Property dualists maintain that the mind is a group of independent properties that emerge from and cannot be reduced to the brain, though they are ontologically dependent on it. Monism rejects the dualist separation and maintains that mind and body are, at the most fundamental level, of the same kind. This view seems to have first been advocated in Western Philosophy by Parmenides in the fifth century B.C.E. and was later espoused by the seventeenth century rationalist Baruch Spinoza. Rough parallels in Eastern Philosophy might be the Hindu concept of Brahman or the Dao of Lao Tzu. Physicalists argue that only the entities postulated by physical theory exist, and that mind is ultimately nothing more than such physical entities. Idealists maintain that minds (along with their perceptions and ideas) are all that exists and that the external world is either mental itself, or an illusion created by the mind. The most common monisms in the twentieth and twenty-first centuries have all been variations of physicalism; these positions include behaviorism, the type identity theory, and anomalous monism. Many modern philosophers of mind adopt either a reductive or non-reductive physicalist position, maintaining in their different ways that only the mind is not something separate from the brain. Reductivists assert that all mental states and properties can in principle be explained by neuroscientific accounts of brain processes and states. Non-reductionists argue that although the brain is all there is to the mind, mental states and properties cannot ultimately be explained in the terms of the physical sciences (such a view is often expressed by focusing on predicates of a mental sort, such as 'is seeing red'). Continued neuroscientific progress has helped to clarify some of these issues. However, they are far from having been resolved, and modern philosophers of mind continue to ask how the subjective qualities and the intentionality (aboutness) of mental states and properties can be explained in the terms of the natural sciences. Each of us spends much of our day dealing with ordinary physical objects, like tables, chairs, cars, computers, food, etc. Though some of these objects are much more complex than others, they seem to have a great deal in common. This commonality is brought out by our belief that every feature of these objects can be explained by physics. Each object is clearly just a bunch of particles arranged in a certain way, so that (with sufficient energy) each could—in principle—be turned into another. In other words, they all seem to be made out of the same sort of stuff, and their properties are just a function of how that stuff is arranged. Intuitively, our bodies are no exceptions to this. While they are much more complex than any machine we can currently make, we believe our bodies are made up of the same stuff as our simplest machines (e.g., protons, neutrons and electrons). At the same time, we also believe that there are mental things in the universe. If you and a friend are looking at a statue from different sides, you might ask your friend what her experience of the statue was like. You might then compare your experiences - while the color of the statue might have been more prominent in your experience, the shape might have been more prominent in hers. This just shows that we think that there's a certain kind of thing, an 'experience' that makes up part of the world, and we attribute these experiences to minds. Now we ask: are these minds and their experiences a sort of physical object? Not obviously. Experiences don't seem to be made up of particles. They certainly seem to have some important relation to a certain set of particles (those that make up our brains and bodies), but if (for instance) we were to divide a brain in half, we wouldn't think that experiences would somehow split in half. Moreover, while it's clear that experiences can be about objects, it's not at all clear how some bunch of particles could be 'about' anything at all. To put the point slightly differently, imagine that someone were describing a possible universe to you, and gave you a very long list of particle locations. No matter how detailed that list, it would seem that there's a very reasonable question you could ask: are there any minds in this universe? A certain arrangement of particles is clearly sufficient for a book to exist, but the same isn't obviously true for minds and experiences. There are both metaphysical and epistemological aspects to this problem. On the metaphysical side, we might wonder about whether minds and bodies are distinct substances, whether they could exist independently of each other, and whether they have different properties. On the epistemological side, we might wonder whether neuroscience will ever be able to fully explain the nature of minds and experiences. Dualism is a family of views about the relationship between mind and physical matter. It begins with the claim that mental phenomena are, in some respects, non-physical. One of the earliest known formulations of mind-body dualism was expressed in the eastern Sankhya and Yoga schools of Hindu philosophy (c. 650 B.C.E. ), which divided the world into purusha (mind/spirit) and prakrti (material substance). In Western Philosophy, some of the earliest discussions of dualist ideas are in the writings of Plato and Aristotle. Each of these maintained, but for different reasons, that man's "intelligence" (a faculty of the mind or soul) could not be identified with, or explained in terms of, his physical body. However, the best-known version of dualism is due to René Descartes (expressed in his 1641 Meditations on First Philosophy), and holds that the mind is a non-extended, non-physical substance. Descartes was the first to clearly identify the mind with consciousness and self-awareness, and to distinguish this from the brain, which was the seat of intelligence. Two of the most famous arguments for dualism were given their classic formulations by Descartes. The first is often referred to as the Conceivability Argument. In broad outline, it runs as follows: though they presently exist together somehow, I am capable of forming a clear and distinct conception of my mind existing without my body, and an equally clear and distinct conception of my body existing without my mind. Unlike some other forms of imagining, clear and distinct perception is of an especially reliable sort (Descartes believed that that premise required an argument that God had given us our faculties and was not a deceiver), so we can conclude that the mind and body are indeed independent. The contemporary philosopher David Chalmers has recently provided detailed discussion and defense of this sort of argument. 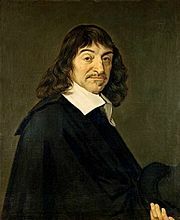 Descartes' second argument is often referred to as the Divisibility Argument. That outline proceeds roughly as follows: my body/brain and all its parts are divisible, yet my mind is utterly simple and indivisible, so my mind cannot be identical to my body/brain or any part thereof. This argument rests heavily on the notion of 'divisibility,' and there is some challenge in finding an understanding of it that doesn't make the argument question-can be found in Peter Unger's All the Power in the World. begging. A recent defense of a more sophisticated form of the Divisibility Argument A popular contemporary line of argument in favor of dualism centers on the idea that the mental and the physical seem to have quite different, and perhaps irreconcilable, properties. Mental events have a certain subjective quality to them, whereas physical events do not. So, for example, one can reasonably ask what a burnt finger feels like to a person, or what a blue sky looks like to a mind, or what nice music sounds like to the person hearing it. But it is meaningless, or at least odd, to ask what a surge in the uptake of glutamate in the dorsolateral portion of the hippocampus feels like. Philosophers of mind call the subjective aspects of mental events qualia (or raw feels). There is something 'that it is like' to feel pain, to see a familiar shade of blue, and so on. There are qualia involved in these mental events that seem particularly difficult to reduce to or explain in terms of anything physical. Interactionist dualism, or simply interactionism, is the particular form of dualism first espoused by Descartes in the Meditations. In the twentieth century, two of its major defenders have been Karl Popper and John Carew Eccles. This view makes a natural step beyond the basic claim that the mind and body are two distinct substances, and adds that they causally influence each other. One simple but clear case would be the following: something bites my arm; a signal is sent to my brain and then to my mind. My mind then makes the decision to brush the biting thing away, sending a message to my brain, which then sends a message to the arms to do the brushing. The most difficult part of this story, to make sense of it, concerns the communication between the (physical) brain and the (non-physical) mind. Descartes believed that the pineal gland in the center of the brain was the spot of communication, but could offer no further explanation. After all, while we have some grasp on the laws that govern communication of motion between physical bodies, and the psychological laws that describe how certain thoughts lead to other thoughts; no known set of laws seems fit, to describe the way in which the physical and the mental (when conceived as non-physical) interact. Indeed, the sort of interaction in question seems to be inconceivable (an especially sensitive point for dualists who base their position on the Conceivability Argument). 1) Psycho-physical parallelism, or simply parallelism, is the view that mind and body, while having distinct ontological statuses, do not causally influence one another. Instead, they run along parallel paths (mind events causally interact with mind events and brain events causally interact with brain events) and only seem to influence each other. This view was most prominently defended by Gottfried Leibniz. 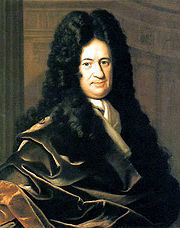 Although Leibniz was an ontological monist who believed that only one fundamental substance, monads, exists in the universe and that everything (including physical matter) is reducible to it, he nonetheless maintained that there was an important distinction between "the mental" and "the physical" in terms of causation. He held that God had arranged things in advance so that minds and bodies would be in harmony with each other. This is known as the doctrine of pre-established harmony. 2) Occasionalism is the view espoused most notably by Nicholas Malebranche which asserts that all supposedly causal relations between physical events, or between physical and mental events, are not really causal at all. While body and mind are still different substances, causes (whether mental or physical) are related to their effects by an act of God's intervention on each specific occasion. For instance, my decision to raise my arm is merely the occasion on which God causes my arm to raise. Likewise, the motion of particles which constitute my finger's being pricked is the occasion on which God causes a sensation of pain to appear in my brain. 3) Epiphenomenalism is a doctrine first formulated by Shadworth Hodgson, but with precedents going back as far as Plato. Fundamentally, it consists in the view that mental phenomena are causally ineffectual. Physical events can cause other physical events and physical events can cause mental events, but mental events cannot cause anything, since they are just causally inert by-products (i.e., epiphenomena) of the physical world. The view has been defended most strongly in recent times by Frank Jackson. 4) Property dualism asserts that when matter is organized in the appropriate way (i.e. in the way that living human bodies are organized), mental properties emerge. Hence, it is a sub-branch of emergent materialism. These emergent properties have an independent ontological status and cannot be reduced to, or explained in terms of, the physical substrate from which they emerge. This position is espoused by David Chalmers and has undergone something of a renaissance in recent years. Unlike more traditional dualism, this view doesn't involve the claim that the mind is capable of existing independently of physical objects. In contrast to dualism, monism states that there is only one fundamental substance or type of substance. Today, the most common forms of monism in Western philosophy are physicalist. Physicalistic monism asserts that the only existing substance is physical, in some sense of that term to be clarified by our best science. Physicalism has been formulated in a wide variety of ways (see below). Another form of monism, idealism, states that the only existing substance is mental. The most prominent defenders of that view in the Western tradition are Leibniz and the Irish Bishop George Berkeley. Another possibility is to accept the existence of a basic substance which is neither exclusively physical nor exclusively mental. One version of such a position was adopted by the Dutch Jewish philosopher Baruch Spinoza, who held that God was the only substance in the world, and that all particular things (including minds and bodies) were merely affections of God. A rather different version was popularized by Ernst Mach in the nineteenth century. This neutral monism, as it is called, bears some resemblance to property dualism. Prior to the seventeenth and eighteenth centuries, physics had accomplished relatively little, and theology set many of the starting points for science, making it easier for thinkers to assume that there was more to the universe than described in the language of physics. Today, the claim that physics is the most fundamental science, and that the truths of other sciences can—in principle—be reduced to the truths of physics, is seen by many as almost self-evident. Because of this, many philosophers have seen physicalism monism as irresistible, so that more intellectual energy has been devoted to developing varieties of this view of the mind than any other. Behaviorism dominated philosophy of mind for much of the twentieth century, especially the first half. In psychology, behaviorism developed as a reaction to the inadequacies of introspectionism. Introspective reports on one's own interior mental life are not subject to careful examination for accuracy and can not be used to form predictive generalizations. Without generalizability and the possibility of third-person examination, the behaviorists argued, psychology cannot be scientific. The way out, therefore, was to eliminate or ignore the idea of an interior mental life (and hence an ontologically independent mind) altogether and focus instead on the description of observable behavior. Parallel to these developments in psychology, a philosophical behaviorism (sometimes called logical behaviorism) was developed. This was characterized by a strong verificationism, which generally considers unverifiable statements about interior mental life senseless. For the behaviorist, mental states are not interior states on which one can make introspective reports. They are just descriptions of behavior or dispositions to behave in certain ways, primarily made by third parties to explain and predict others' behavior. Philosophical behaviorism, has fallen out of favor since the latter half of the 20th century, coinciding with the rise of cognitive psychology. Nearly all contemporary philosophers reject behaviorism, and it's not difficult to appreciate why. When I state that I'm having a headache, the behaviorist must deny that I'm referring to any sort of experience, and am merely making some claim about my dispositions. This would mean that "I have a headache" might be equivalent to saying: "I currently have a disposition to close my eyes, rub my head, and consume some pain medicine." Yet those claims are clearly not equivalent - what it is to have a headache is just to be experiencing a certain pain. If anything, it seems that the dispositions in question are the result of that experience; not constitutive of it. As the difficulties with behaviorism became increasingly apparent, physicalist-minded philosophers looked for other ways to claim that the mental was nothing beyond the physical that didn't require ignoring or denying the 'internal' aspect of mentality. Many of the post-behaviorist theories can be divided in terms of a distinction made by C. S. Pierce between 'tokens' and 'types.' Roughly speaking, 'tokens are individual instances of 'types.' A token cat, then, is a particular cat, where as the type: cat is a category including a variety of tokens. This distinction allows for some subtlety in formulating claims about the relation of the mental to the physical. Type physicalism (or type-identity theory) was developed in large part by John Smart as a direct reaction to the failure of behaviorism. Smart and other philosophers reasoned that, if mental states are something material, but not simple behavioral dispositions, then types of mental states are probably identical to types of internal states of the brain. In very simplified terms: a mental state M is nothing other than brain state B. The mental state "desire for a cup of coffee" would thus be nothing more than the "firing of certain neurons in certain brain regions". On such a view, it would turn out that any two people with a desire for a cup of coffee would have a similar type of neuronal firing pattern in similar regions of the brain. 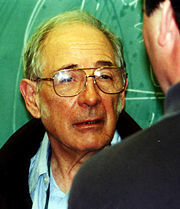 Despite initial plausibility, the identity theory faces at least one challenge in the form of the multiple realizability thesis, as first formulated by Hilary Putnam. It seems clear that not only humans, but also amphibians, for example, can experience pain. On the other hand, it seems very improbable that all of these diverse organisms with the same pain are in the same identical brain state. If this is not the case however, then pain (as a type) cannot be identical to a certain type of brain state. The type identity theory thus appears to be empirically unfounded. Despite these problems, there is a renewed interest in the type identity theory today, primarily due to the influence of Jaegwon Kim. But, even if this is the case, it does not follow that identity theories of all forms must be abandoned. According to token identity theories, the fact that a certain brain state is connected with only one "mental" state of a person does not have to mean that there is an absolute correlation between types of mental states and types of brain state. The idea of token identity is that only particular occurrences of mental events are identical with particular occurrences or tokenings of physical events. 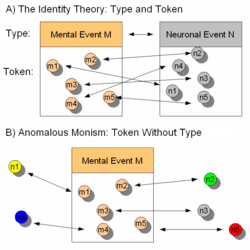 Anomalous monism (see below) and most other non-reductive physicalisms are token-identity theories. It is worth noting that that type identity entails token identity, but not vice-versa. What all these different varieties of functionalism share in common is the thesis that mental states are essentially characterized by their causal relations with other mental states and with sensory inputs and behavioral outputs. That is, functionalism abstracts away from the details of the physical implementation of a mental state by characterizing it in terms of non-mental functional properties. For example, a kidney is characterized scientifically by its functional role in filtering blood and maintaining certain chemical balances. From this point of view, it does not really matter whether the kidney be made up of organic tissue, plastic nanotubes or silicon chips: it is the role that it plays and its relations to other organs that define it as a kidney. This allows a fairly straightforward answer to the multiple realizability problem - while different organisms that experience the same mental state may differ in 'low-level' properties (such as specific arrangement of neurons, or even chemical composition), the functionalist claim merely requires that they share some more abstract property. Just as one can make a mousetrap out of any variety of materials and in any number of configurations, the functionalist view allows that a mind with mental states like ours could in principle be realized in a wide variety of ways. Many philosophers firmly hold two convictions with regard to mind-body relations: 1) Physicalism is true and mental states must be physical states, and 2) All reductionist proposals are unsatisfactory: mental states cannot be explanatorily reduced to behavior, brain states or functional states. Hence, the question arises whether there can still be a non-reductive physicalism. Donald Davidson's anomalous monism is an attempt to formulate such as physicalism. The idea is often formulated in terms of the thesis of supervenience: mental states supervene on physical states, but are not reducible to them. This means that, as a matter of metaphysical necessity, there can be no change or variation in mental states without there being some change or variation in physical states, even while there is no way of giving an explanation or exhaustive characterization of the mental in terms of the physical. Such a theory fits well with the bafflement many people feel when they try to imagine how something like qualia could ever be explained in the vocabulary of physics without accepting the metaphysical baggage of dualism. If one is a materialist but believes that all reductive efforts have failed and that a non-reductive materialism is incoherent, then one can adopt a final, more radical position: eliminative materialism. Eliminative materialists maintain that mental states are fictitious entities that are the subject matter of everyday "folk psychology". Should folk psychology, which eliminativists view as a quasi-scientific theory, be proven wrong in the course of scientific development, then we must also abolish all of the entities postulated by it. Eliminativists, the most notable being Patricia and Paul Churchland, often invoke the fate of other, erroneous popular theories and ontologies which have arisen in the course of history. For example, the belief in witchcraft as a cause of people's problems turned out to be wrong and the consequence is that most people no longer believe in the existence of witches. Witchcraft is not explained in terms of some other phenomenon, but rather eliminated from the discourse. Similarly, while it might be possible to find some interpretation of the vocabulary of alchemy so that its claims would appear to be acceptable (a functionalist interpretation, for instance), this would be simply wrongheaded, for alchemy is a false science and the entities it postulated clearly do not exist. The eliminative materialist view is, at heart, motivated by the belief that contemporary science should yield the ultimate verdict on what exists (a belief explicitly denied by Thomas Nagel)..
Each attempt to answer the mind-body problem encounters substantial problems. Some philosophers argue that this is because there is an underlying conceptual confusion. Such philosophers reject the mind-body problem as an illusory problem. Such a position is represented in analytic philosophy these days, for the most part, by the followers of Ludwig Wittgenstein and the Wittgensteinian tradition of linguistic criticism. The exponents of this position explain that it is an error to ask how mental and biological states fit together. Rather it should simply be accepted that humans can be described in different ways - for instance, in a mental and in a biological vocabulary. Unnecessary problems arise if one tries to describe the one in terms of the other's vocabulary or if the mental vocabulary is used in the wrong contexts. This is the case for instance, if one searches for mental states of the brain. Talk about the brain is simply the wrong context for the use of mental vocabulary - the search for mental states of the brain is therefore a category error or a pure conceptual confusion. Today, such a position is often adopted by interpreters of Wittgenstein such as Peter Hacker. Significantly, Hilary Putnam, one of the original defenders of functionalism, has recently argued in favor of something like the Wittgensteinian approach. Nevertheless, many contemporary philosophers of mind remain unpersuaded by this general line. This is not surprising - most of the canonical discussions of the mind-body problem were by philosophers who saw themselves as dealing with something non-linguistic (such as Descartes' 'clear and distinct ideas'), so if the issue is based in linguistic confusion, that confusion would have to be one deeply buried enough to resist easy uncovering. The thesis of physicalism is that the mind is part of the material (or physical) world. In contemporary discussions, most attacks on this position are based on the fact that the mind appears to have certain properties that no material thing possesses. Physicalism must therefore explain how it is possible that these properties can exist or emerge in a world consisting entirely of the entities described by natural science (in particular: physics). The project of providing such an explanation is often referred to as the "naturalization of the mental." Naturalism about the mental is often attacked with an eye towards two features of our mental lives: the fact that much of it consists in conscious sensations or feels (called 'qualia'), and the fact that our minds involve states and events that represent or are about other things (this feature of them is called intentionality). Many mental states have the property of being experienced by the subject in a certain way - only I can know 'what it's like'. For instance, it seems that no one is able to know how my headache feels except me, whereas everyone (if equipped with a sufficiently powerful brain-scanner) could come to know everything about the physical features of my brain that I do. Moreover, it seems to be a fundamental characteristic of natural science that the phenomena it considers can be experienced and understood by any scientific investigator (hence the expectation that all results of experiments be reproducible). This in turn leads to the requirement that all the explanations of natural science be similarly understandable. But in that case, how could science ever come to explain the 'what it's like' aspect of our mental states? The problem of explaining the introspective, first-person experiential aspects of mental states, and consciousness in general, in terms of third-person quantitative neuroscience is called the explanatory gap. There are several different views of the nature of this gap among contemporary philosophers of mind. David Chalmers and Frank Jackson (in his early work) interpret the gap as ontological in nature; that is, they maintain that qualia can never be explained by science because physicalism is false. There are simply two separate categories involved and one cannot be reduced to the other. An alternative view is taken by philosophers such as Thomas Nagel and Colin McGinn. According to them, the gap is epistemological in nature. For Nagel, science is not yet able to explain subjective experience because it has not yet arrived at the level or kind of knowledge that is required. We are not even able to formulate the problem coherently. For McGinn, on other hand, the problem is one of permanent and inherent biological limitations. We are not able to resolve the explanatory gap because the realm of subjective experiences is cognitively closed to us in the same manner that quantum physics is cognitively closed to elephants. These epistemological views can in principle remain neutral on whether physicalism is true or not - for it seems possible that mental entities and properties be nothing more than physical entiries and properties even while this is something that we can never establish (just as it seems possible that there be some entities in the universe that are undiscoverable, even though we would never be able to establish that fact). Intentionality is the capacity of mental states to be directed towards (be about) something in the external world. This property of mental states is also described in terms of their having 'representational content' and 'semantic referents,' and this in turn in what makes it appropriate to talk of their being true or false. When one tries to reduce these states to natural states or processes there arises a problem: natural processes are not true or false, they simply happen. It would appear to not make any sense to say that some state of the brain is true or false. But mental ideas or judgments are true or false, so how then can mental states (ideas or judgments) be natural processes? In response to such a worry, some naturalist-inclined philosophers have attempted to give an account of representation and intentionality that is fully compatible with a physicalist ontology. There are countless subjects that are affected by the ideas developed in the philosophy of mind. We know a great amount about what the nature of physical bodies, and if physicalism were true, we would be committed to ascribing certain properties of the brain to the mind. For instance, we know that brains are divisible and destructable, so if the mind=the brain, then that would mean that the mind was divisible and destructable (in fact, Descartes' certainty that the mind wasn't divisible and destructable was one of his main reasons for rejecting positions like physicalism - see above). Two issues are worth emphasizing in this connection: freedom of the will and the nature of the self. In the context of the philosophy of mind, the question about the freedom of the will takes on a renewed intensity. This is certainly the case, at least, for materialistic determinists. According to this position, natural laws completely determine the course of the material world. Mental states, and therefore the will as well, would be material entities, and so completely determined by natural laws. Some philosophers take this argumentation a step further: not only, if materialism is correct, are people unable to do otherwise than what they do, but people cannot determine by themselves what they want and what they do - what happens is out of their control. Consequently, they are not free. Such a view is rejected by by advocates of compatibilism. Those who adopt this position suggest that the question "Are we free?" can only be answered once we have determined what the term "free" means. The opposite of "free," one might argue, is not "caused" but "compelled" or "coerced." It is not appropriate to identify freedom with indetermination or the ability to simply have done oetherwise. A free act is one where the agent could have done otherwise if he or she had chosen otherwise. But this view allows that the decisions themselves can be causally determined. In this sense a person can be free even though determinism is true. Perhaps the most important compatibilist in the history of the philosophy was David Hume, though similar positions are found at least as far back as the Stoics. Nowadays, this position is defended, for example, by Daniel Dennett, and, from a dual-aspect perspective, by Max Velmans. On the other hand, there are also many incompatibilists who reject the argument because they believe that the will is free in a stronger sense called 'libertarianisml. These philosophers affirm that the course of the world is not completely determined by natural laws: the will at least does not have to be and, therefore, it is potentially free. Perhaps the most prominent incompatibilist in the history of philosophy was Immanuel Kant. A contemporary advocate of the view is Peter van Inwagen. Yet incompatibilism takes on quite different forms depending on the background philosophy of mind - for a physicalist, this requires that one reject the view that physical laws are deterministic. 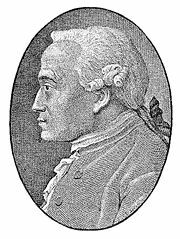 Kant, however, used the intuitions motivating libertarianism to motivate his view that the will is itself not properly part of the physical world. The philosophy of mind also has important consequences for the concept of self. If by "self" or "I" one refers to an essential, immutable nucleus of the person, most modern philosophers of mind (accepting physicalism) will affirm that no such thing exists. The idea of a self has historically been tied to the idea of an immaterial soul (Descartes, for instance, identified the two). In addition to skepticism arising from physicalism, many philosophers also follow David Hume in questioning what introspective basis we even have for believing that such an entity exists. In view of this problem, some philosophers affirm that we should abandon the idea of a self. Another view is that we should redefine the concept: by "self" we would not be referring to some immutable and essential nucleus, but to something that is in permanent change. A contemporary defender of this position is Daniel Dennett. ↑ H. Robinson, (1983): 'Aristotelian dualism," Oxford Studies in Ancient Philosophy, 1 (Oxford Univ. Press), 123-44. ↑ Martha C. Nussbaum, "Aristotelian dualism," Oxford Studies in Ancient Philosophy, 2 (Oxford University Press, 1984), 197-207. ↑ Sri Swami Sivananda Sankhya: Hindu philosophy: The Sankhya The Global Oneness Commitment. Retrieved August 12, 2007. ↑ W.D. Hart, "Dualism," in Samuel Guttenplan (org) A Companion to the Philosophy of Mind. (London: Blackwell, Oxford Univ. Press, 1996), 265-267. 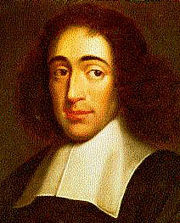 ↑ Baruch Spinoza, (1670) Tractatus Theologico-Politicus (A Theologico-Political Treatise). ↑ J. Kim, "Mind-Body Problem," Oxford Companion to Philosophy, edited by Ted Honderich. (Oxford, UK: Oxford University Press, 1995). ↑ Paul Churchland, "Eliminative Materialism and the Propositional Attitudes," Journal of Philosophy (1981): 67-90. ↑ Peter Unger. All the Power in the World. (Oxford, UK: Oxford University Press, 2006). ↑ Frank Jackson, “Epiphenomenal Qualia.” Reprinted in David Chalmers, ed. Philosophy of Mind: Classical and Contemporary Readings. (Oxford University Press, 2002). Retrieved August 12, 2007. ↑ Tad Schmaltz, "Nicolas Malebranche," The Stanford Encyclopedia of Philosophy (Summer 2002 Edition), Edward N. Zalta (ed. ), .Retrieved January 16, 2008. ↑ Shadworth Hodgson, (1865) Time and Space. ↑ Daniel Stoljar. Physicalism. accessdate 2006-09-24, The Stanford Encyclopedia of Philosophy (Winter 2005) Center for the Study of Language and Information, Stanford University. ↑ J.J.C. Smart, Identity Theory, The Stanford Encyclopedia of Philosophy (Summer 2002) Retrieved August 12, 2007. ↑ Ned Block, "What is functionalism," in Readings in Philosophy of Psychology, in 2 vols. Vol 1. (Cambridge, MA: Harvard, 1980). ↑ F. Jackson, (1986) "What Mary didn't Know," Journal of Philosophy 83(5): 291-295. ↑ C. McGinn, Can the Mind-Body Problem Be Solved, Mind, New Series, 98 (391): 349-366. Retrieved August 12, 2007. ↑ Ted Honderich Philosopher Ted Honderich's Determinism web resource, Freedom & Determinism Philosophy. Retrieved August 12, 2007. ↑ Immanuel Kant. Critique of Pure Reason. (1781) translated by F. Max Muller, (Garden City, New York. Dolphin Books, Doubleday & Co., 1961). Block, Ned. "What is functionalism," in Readings in Philosophy of Psychology, in 2 vols. Vol 1. Cambridge, MA: Harvard, 1980. Capitan, W. H. and D. D. Merrill, eds., Art, Mind and Religion. Pittsburgh: University of Pittsburgh Press. 1967. __________. (ed.) Philosophy of Mind: Classical and Contemporary Readings. Oxford University Press, 2002. Churchland, Paul, "Eliminative Materialism and the Propositional Attitudes," Journal of Philosophy (1981). Dennett, Daniel. 1984. The Varieties of Free Will Worth Wanting. Cambridge, MA: Bradford Books-MIT Press. ISBN 0262540428. Dennett, Daniel C. and D.R. Hofstadter. 1981. The Mind's I. Bantam Books. ISBN 0553014129. Dretske, Fred. 1999. Knowledge and the Flow of Information. Stanford: CSLI Publications. ISBN 157586195X. Fodor, Jerry. 1993. Psychosemantics. The problem of meaning in the philosophy of mind. Cambridge: MIT Press. ISBN 0262061066. Hacker, Peter. 2003. Philosophical Foundations of Neuroscience. Blackwel Pub.. ISBN 140510838X. Hart, W.D. "Dualism," in Samuel Guttenplan (org) A Companion to the Philosophy of Mind. London: Blackwell, Oxford Univ. Press, 1996. Inwagen, Peter van. 1983. An Essay on Free Will. Oxford University Press. Jackson, F. 1986. "What Mary didn't Know," Journal of Philosophy 83 (5): 291-295. Kant, Immanuel. 1781. Critique of Pure Reason, translated by F. Max Muller, Dolphin Books, Doubleday & Co. Garden City, New York. Kim, Jaegwon. "Mind-Body Problem," Oxford Companion to Philosophy, edited by Ted Honderich. Oxford, UK: Oxford University Press, 199). Levine, Joseph. 1983. "Materialism and Qualia: The Explanatory Gap," in Pacific Philosophical Quarterly 64(4) (October, 1983): 354–361. McGinn, C. "Can the Mind-Body Problem Be Solved," Mind New Series, 98 (391): 349-366. Nussbaum. Martha C. & Putnam, H. 1992. "Changing Aristotle's mind." In Nussbaum, M. C. & Rorty, A. O. (Eds. ), Essays on Aristotle's De Anima. Oxford: Clarendon Press, 27-56. Putnam, Hilary. 2000. The Threefold Cord: Mind, Body, and World. New York: Columbia University Press. ISBN 0231102860. Russell, Paul. 1995. Freedom and Moral Sentiment: Hume's Way of Naturalizing Responsibility. Oxford University Press: New York & Oxford. Ryle, Gilbert (1949). The Concept of Mind. Chicago: Chicago University Press. ISBN 0226732959. __________. Mind: A Brief Introduction. Oxford University Press Inc, USA. 2005. ISBN 0195157338. Unger, Peter. All the Power in the World. Oxford, UK: Oxford University Press, 2006. Velmans, Max. 2003. How could conscious experiences affect brains?. Exeter: Imprint Academic. ISBN 0907845398. Wittgenstein, Ludwig. 1954. Philosophical Investigations. New York: Macmillan. A list of online papers on consciousness and philosophy of mind, compiled by David Chalmers. Field guide to the Philosophy of Mind. 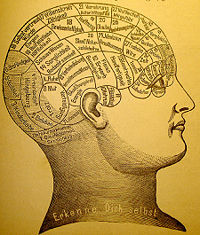 History of "Philosophy of mind"
This page was last modified on 25 March 2019, at 19:49.